Copyright © 1999-2008, CPRR.org. [Last updated 10/4/2007] Use of this Web site constitutes acceptance of the User Agreement; Click any image or link to accept. 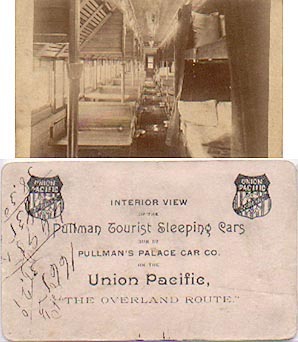 The Central Pacific Railroad Photographic History Museum is not affiliated with, connected with or otherwise sponsored or endorsed by the Union Pacific Railroad. 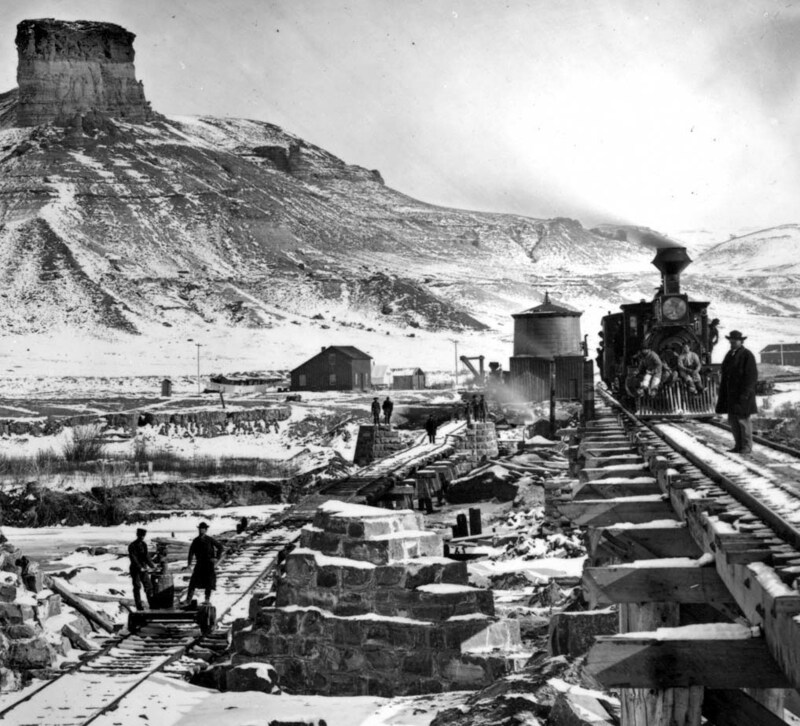 Read about: "The Most Eventful Journey in the History of Railroading." a letter by Walter Scott Fitz describing his 1872 trip on the UPRR. 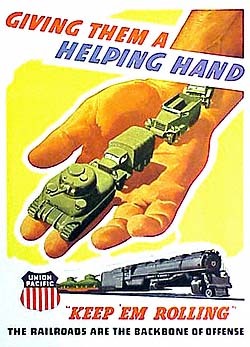 Also visit the American Experience Transcontinental Railroad website. A.J. Russell, 1868 Wyoming Imperial View #78. "Temporary and Permanent Bridges Green River Citadel Rock in distance." 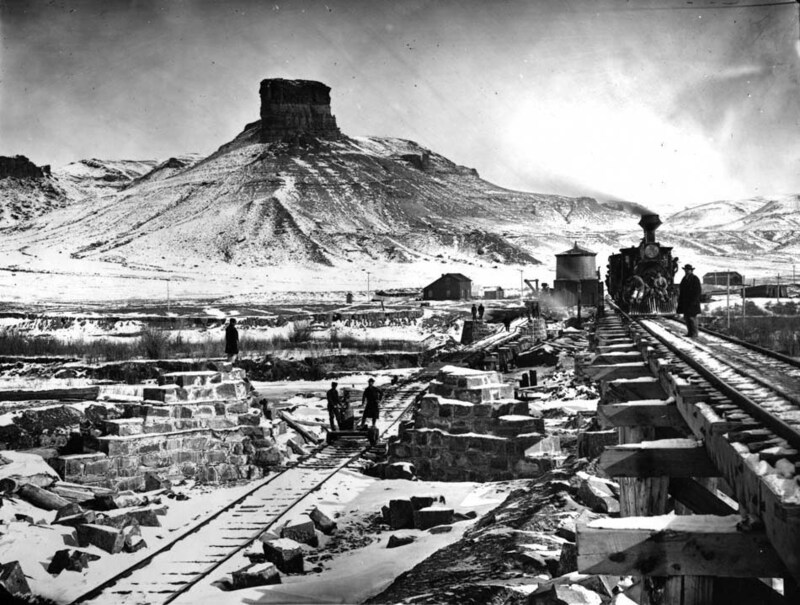 (detail, below) Temporary wooden trestle, right; Permanent stone bridge over the Green River is under construction, left. Image Courtesy The Andrew J. Russell Collection, The Oakland Museum of California.
" 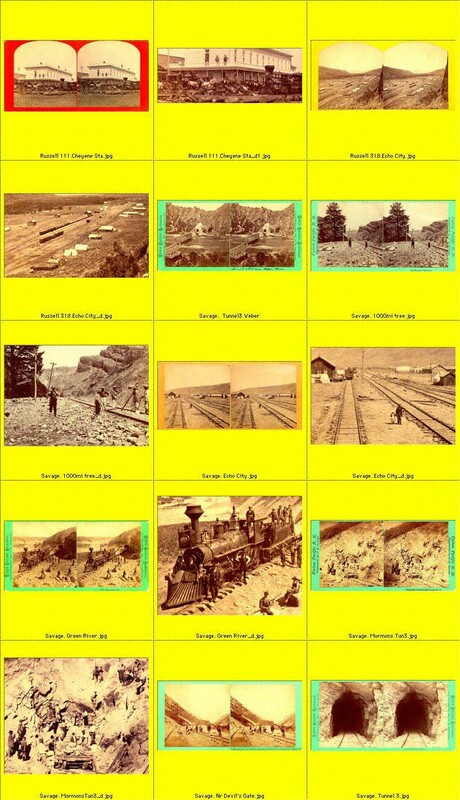 Specimen Views of Union Pacific Railroad Lands in Nebraska." 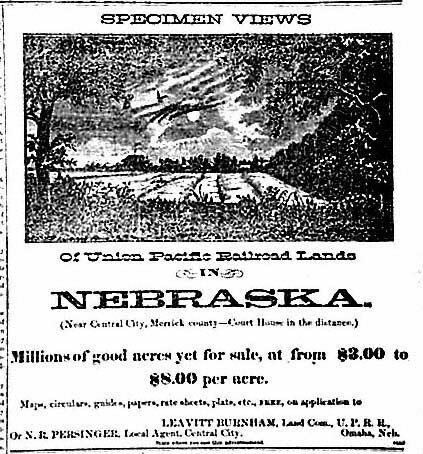 Historic Advertisement Courtesy Timothy Hughes Rare Newspapers. Courtesy Bill S. Lee Collection.